When I visited nursing homes while working as an Occupational Therapist I would see elderly residents slumped over in their chair with poor posture, propped up by pillows and leaning to one side or the other. I would often think, if that was my mother, would I be happy to see her sitting like that? Typically elderly people spend a lot of their day sitting as their mobility declines with age, so comfort is vital for them. You might notice that your elderly relative may begin to complain of aches and pains in their chair, or perhaps they begin to slouch in their chair or worse still, slide down or fall out of their chair. They may insist on getting back to bed during the day due to discomfort or pain. It is then that you may decide to look at the option of buying or renting a suitable chair to meet their needs. There are a lot of options available and various types of chairs on the market and sometimes it is not clear which chair would be best suited for your elderly relative before purchasing. It is important to be informed and to make the right decision, as it can be costly to get it wrong. This blog is aimed to help you differentiate between the choices available to decide which type of chair might be best suited to your loved one. In sitting upright we require our muscles to work against gravity to hold a ‘correct’ or midline posture, the benefits of which are numerous. As we get older our muscles tend to become weaker and fatigue more quickly which can lead to leaning to one side, leaning forward or slouching down in our chair. Poor posture in seating can have many negative knock on effects on a person’s health, for example, sometimes leading to the development of recurring chest infections, lung infections and urinary tract infections. A poor seated position can also lead to sliding and falling from the chair which causes fear, pain and discomfort for the patient. This sliding action can contribute towards the development of pressure ulcers (bed sores) which can become infected and in extreme cases prove fatal. Poor seating and therefore poor posture can also negatively affect a person’s appetite and ability to breathe. Once sat upright and supported these bodily functions improve dramatically. The correct chair and positioning can significantly help improve posture and therefore positively impact upon overall health and wellbeing. See previous blog post for more information on the importance of maintaining good posture in seating here– including the effect that a poor posture has on our physiological, psychological and functional needs. We would recommend you seek the input of a clinician such as an occupational therapist or Seating Specialist to guide you and provide information on the long term requirements of your patient or family member and how their needs may change over time, so you can factor this into your decision making process. To make an investment such as this you will want peace of mind that it will work. We believe it is essential to choose chairs with clinical research to ensure the results can be replicated in your home or facility. Find out about the Clinical Research project Seating Matters carried out with Ulster University in the touching video below. Comfort is number one as if the chair is not comfortable for the patient, all other factors are of little value. 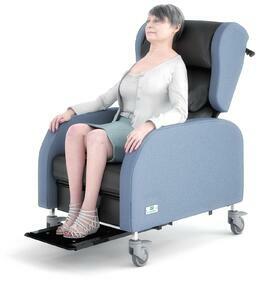 The correct chair can serve to reduce time spent in bed and therefore improves the patient’s quality of life. Read this previous blog post on Bed Rest v Seating and how important it is to get patients out of bed. 2. All Features Should be Adjustable. Multi adjustability of a chair allows one chair to meet the long term and changing needs of the patient. 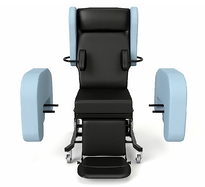 This includes having an adjustable seat width so that the chair can always be adjusted to suit the size of the patient whether they gain or lose weight over a period of time to ensure they are always properly positioned in the chair. 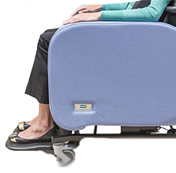 Chairs on wheels enable much easier movement throughout a home or care facility and make it much easier for family members or carers to move the patient from their bedroom, to a day room or living room and also outside to enjoy different stimuli and views. This promotes inclusion with family members or other care home residents, and encourages social interaction. All Seating Matters chairs are on wheels as standard. 4. Pressure Management as Standard. If your loved one is sitting for long periods of time throughout the day, or unable to shift their weight if they get too uncomfortable, they will need pressure management in their chair. Pressure management throughout the chair increases comfort and reduces the risk of developing pressure ulcers (bed sores). Pressure ulcers can be debilitating and complications can even prove fatal in 60% of elderly patients within one year. Do not underestimate the complexity and complications which can arise with a pressure ulcer. 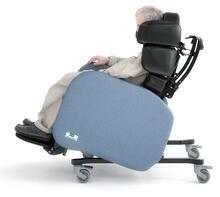 Lots of people think managing pressure can be simply done by adding a pressure cushion to their existing chair. Read this previous blog to find out why that is often not the case. For patients whose head control is poor or declining, they will need additional head support from a structured head pillow or other head support built in to the chair to ensure comfort and support for the head, neck and spine. Poor head control can impact on breathing and feeding so it is vital to support the head if independent head control is difficult for the patient. Lateral supports help the person in the chair to maintain a midline posture which is harder to do when weakening muscles and gravity try to pull our bodies forward in sitting especially when our bodies are fatigued. Lateral supports increase comfort level for the individual as well as impacting positively on their breathing, swallowing, digestive system which are all affected by posture and positioning. 19% of our body weight goes through our feet. If the patient has reduced mobility or is immobile they will need to be able to load their feet either on a leg rest, footplate or the ground to ensure stability and to manage pressure redistribution throughout the body. 8. Can be Used with a Hoist. If a client is currently using a hoist this is an essential requirement. If the client may need a hoist in future then check if the chair is hoist accessible. Understand how their condition is likely to develop over time, i.e. 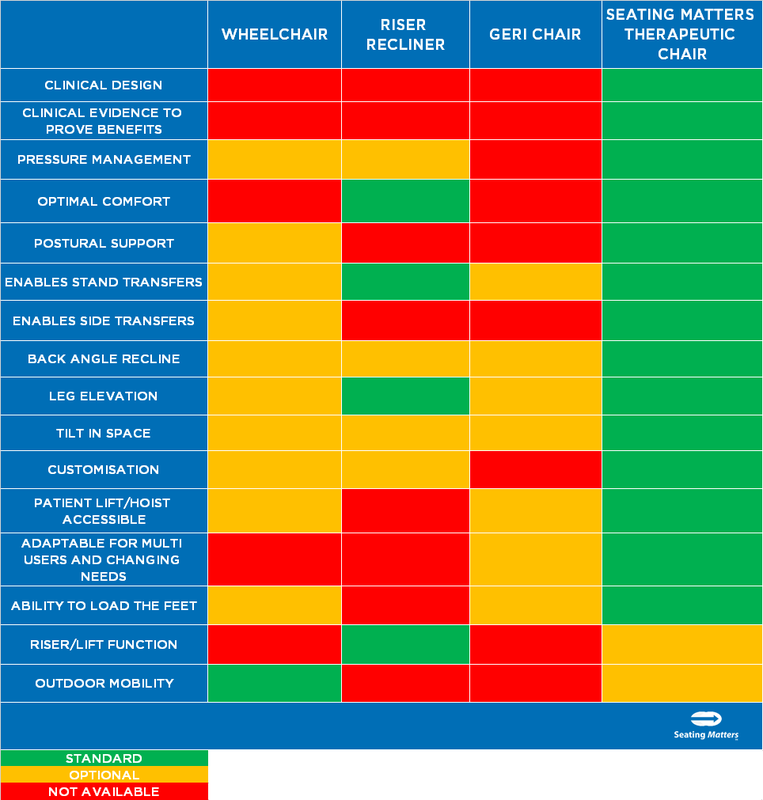 the patient might be relatively mobile now but their level of mobility may decline within six months or one year - will the chair continue to meet their needs once they are completely off their feet? Tilt in space is an important function which allows a carer or the patient in the chair to adjust their position throughout the day, facilitating a weight shift, to reduce the risk of pressure ulcers (bed sores). If the patient is off their feet and cannot shift their weight independently when they get uncomfortable, they will need tilt in space. For infection control purposes, the chair chosen should be easy to wipe clean and have no areas of entrapment for dirt and bacteria. When incontinence, reduced immune systems and open wounds are factors to consider, this becomes of even greater importance. Consider the frame, the fabric used and the various areas which dirt can accumulate, are all areas easy to reach? What Types of Chairs for the Elderly Are Available? Wheelchairs are mainly for outdoor mobility and travelling over distances. There are many different variations of wheelchairs available from self-propelled to electric to moulded seat options. 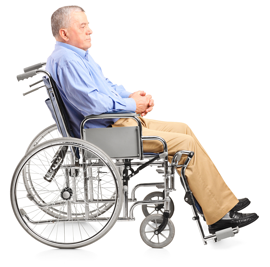 Wheelchairs usually offer the ability to load the feet but should not be sat in for long periods of time throughout the day as they often lack integral pressure management and postural support required by patients with declining mobility and function. Riser recliner chairs are chairs which have two core functions, a riser function to enable a safe sit to stand transfer and a recline function to promote comfort. Riser recliner chairs typically do not offer pressure management, postural support or tilt in space and should not be used for patients who are immobile and who cannot shift their weight independently. 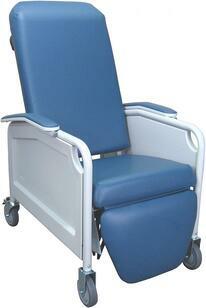 Geri chairs are standard sized hospital chairs which are used for transport within the hospital. 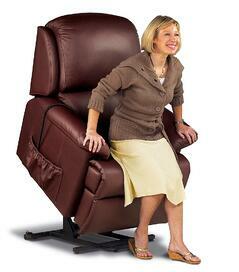 They can typically accommodate slings for hoists/patient lifts but typically most are not size adjustable. They may offer a degree of back angle recline and leg elevation and are usually made of a hospital grade material for easy cleaning and infection control. They will not offer postural support and pressure management required by a patient who is immobile. They are typically non-adjustable to meet changing needs of a patient over time or the clinical needs of a complex patient. They are suited for mobility but not long term sitting. 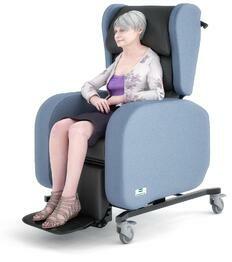 Seating Matters therapeutic chairs have been designed by an occupational therapist to meet patient needs. 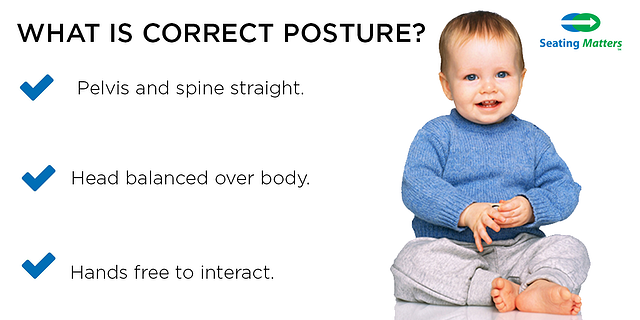 They can provide optimal postural support and pressure management from the head to toe. . Depending on the medical condition of the patient they may require a chair with tilt in space according to their pressure care needs. The Seating Matters therapeutic chairs have been extensively clinically researched and proven to reduce pressure injuries and to increase patients’ function. The surfaces on the Seating Matters therapeutic chairs are covered with washable, durable materials such as vinyl and Dartex which can be cleaned with soap and water to promote infection control. The chairs can be adjusted to accommodate changing patient needs as a condition progresses meaning the one chair can last for the lifetime of the patient, or they can be adjusted in seat width, seat height and seat depth to suit various sizes of users within a multi user environment. All clinically essential features are provided as standard including a footplate on every chair as it’s vital to load the feet in seating. So How Do I Chose a Chair for my Elderly Relative? Here we have summarised the key functions of the various seating solutions that we have looked at in this blog in one easy to read table. 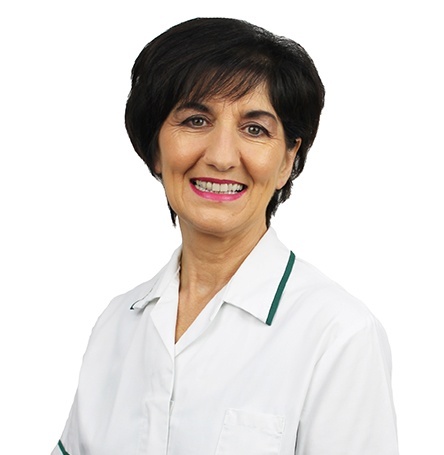 We would recommend you seek the input of a clinician such as an occupational therapist or Seating Specialist to guide you and provide information on the long term requirements of your patient or family member and how their needs may change over time, so you can factor this into your decision. 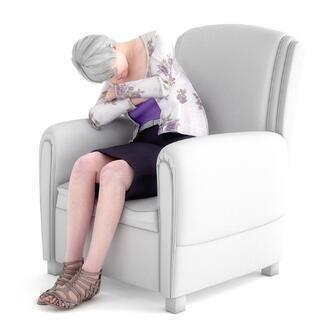 What we really want to do is to reach those patients and families who are searching for a better seating solution for their relative, searching for information on chairs for elderly, to prevent them from purchasing the wrong chair due to misinformation or lack of knowledge. We come across instances every day where families get in touch as they have spent hundreds or sometimes thousands on a chair believing it to be the correct solution for their loved one, only to realise maybe 6 months later that it no longer accommodates their clinical or functional needs, or that they have developed a pressure ulcer. They then find that they are back to square one, on the lookout again for a new chair. We would never recommend a Seating Matters chair to a patient if it’s something they don’t need or are not likely to need in the future. That is a guarantee from me personally. We routinely recommend other chair types if the particular patient case does not warrant a therapeutic chair. We are here to help you have all the information you need to help you to get it right first time. 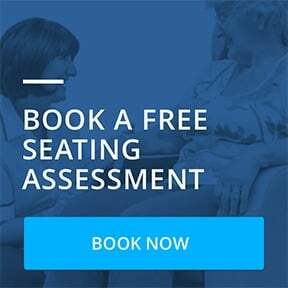 Call us for free advice and support or book a free Seating Assessment or free Chair Demonstration with the Seating Specialist in your area. *Features listed in table as standard on Seating Matters chairs are available on some models. Table completed to the best of our knowledge on the other seating options available.